House of Reps wades into Amasa Firdaus controversy – Royal Times of Nigeria. 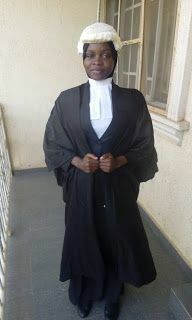 The House of Representatives on Tuesday deliberated on the controversy over the refusal of Amasa Firdaus, a Nigerian Law School student to remove her hijab at the Call to Bar ceremony. The House directed its Committees on Justice and Judiciary to investigate the matter and make appropriate recommendations to the floor. The resolution followed a motion moved by a member from Kano State, Mr. Abubakar Danburam-Nuhu. Mr. Abubakar Danburam-Nuh said the Law School infringed on the fundamental rights of Firdaus, stating that under Section 38 of the 1999 Constitution, Firdaus was entitled to dress the way she liked. He stated, “The section supersedes any provision by any government agency or institution,”.